The impact-based foundation of Khazanah Nasional Bhd envisions a globally sustainable Malaysia with empowered communities. While the efforts of non-profit organisations may well be founded upon the will to make a difference, adequate funding is essential to keep fighting the good fight. Many non-governmental organisations struggle with this and here is where the role of Yayasan Hasanah — the impact-based foundation of Khazanah Nasional Bhd — comes into play. Hasanah managing director Shahira Ahmed Bazari succinctly explains why this is important: “Sometimes, it is only a small amount of money holding them back.” She was referring to the Arts Fund, which addresses funding issues of the art, heritage and culture sector — one of the foundation’s five focus areas. The others are education, community development, environment and knowledge. But this sentiment rings true across the board. Incorporated in December 2013, Hasanah is built on Khazanah’s corporate social responsibility initiatives that date back to 2006, which amount to RM1.2 billion. It is interesting to note that the two are categorised as sister entities, with the non-profit existing alongside the strategic investment fund instead of under it. Shahira, who was previously with Khazanah and is instrumental in the strategy development of Hasanah, says this reflects the former’s equal emphasis on value creation and value distribution. “You could say that to us, societal value and contributions are just as important as driving the economy of the nation … How we are different from other foundations is that our five focus areas were determined based on national needs. It is not linked to the business [aspect] or about brand building. 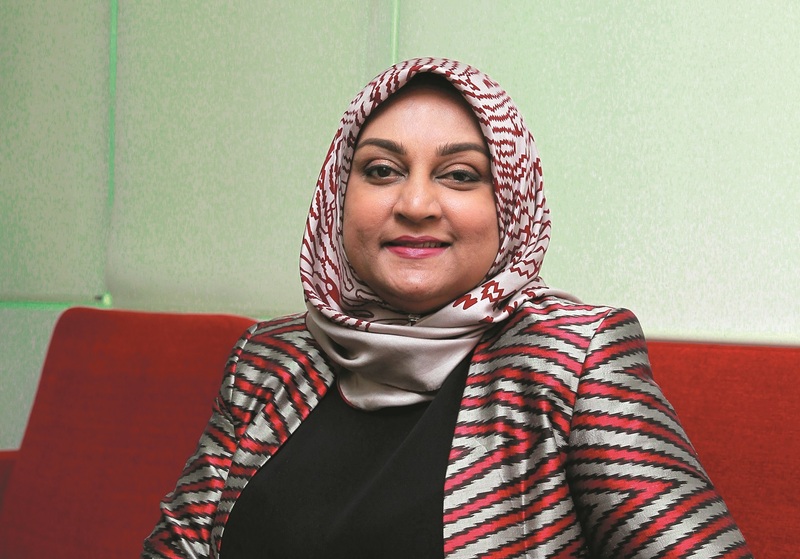 [Instead] our aim is to address the critical issues of the country,” she explains. “We believe meaningful impact only happens over time,” Shahira says, explaining the core value of the grant-making and capacity building foundation. Hasanah received a RM3 billion endowment from Khazanah in 2013. The money for grants comes from the returns from investments made using the endowment. Khazanah handles these conservative investments on its behalf, guaranteeing a minimum of 5% returns with capital protection. To date, 41 NGOs have benefited from Hasanah’s grants and they have since become its partner organisations. The idea is to pool knowledge, skills and expertise to make the best impact. Serious about affecting change, the foundation’s social impact assessment programme measures the outcomes (three to five years) and impact (8 to 10 years) of each initiative. With a focus on sustainability, the organisation feels strongly about enabling long-term social projects. Its grants comprise organisation and programme funds, to alleviate financial burdens. While there is no limit to the number of times an organisation may receive funding, this applies on a case-to-case basis. But grant recipients are expected to eventually learn to stand on their own feet as funding assistance cannot continue forever. Hasanah (which can be interpreted to mean goodness or good deeds) contributes more than funding. It also focuses on capacity building and is happy to provide guidance on other aspects of running an organisation too. “I’d say the non-profit sector is quite nascent. There are great individuals who are dedicated and passionate — unsung heroes, really — who are giving out a lot. They could be a lot better if they could be strategic in the way they run the organisation. “There is a lot we can do in professionalising the non-profit sector,” Shahira says, adding that training and workshops are provided to not only Hasanah’s partners but also the wider ecosystem and the public at large. Offered for free, the single session or series of sessions encompass matters such as financial, strategic and human resources planning. Of the total funds, 60% go to education. “We believe the most important thing is to invest in people, to help them realise their full potential.” Its flagship programme known as Trust School or Sekolah Amanah complements the efforts of the Ministry of Education. According to Shahira, one out of eight students drop out of school at the age of 16. Prompted to do more, Hasanah has pledged its commitment to the government to develop a new model of education for 220 schools. It shifts the responsibility of learning to the student while the teacher assumes the role of facilitator. Running for eight years now, the model’s results include increased engagement and sense ownership in the students and the organisation hopes to be able to replicate it in the future. 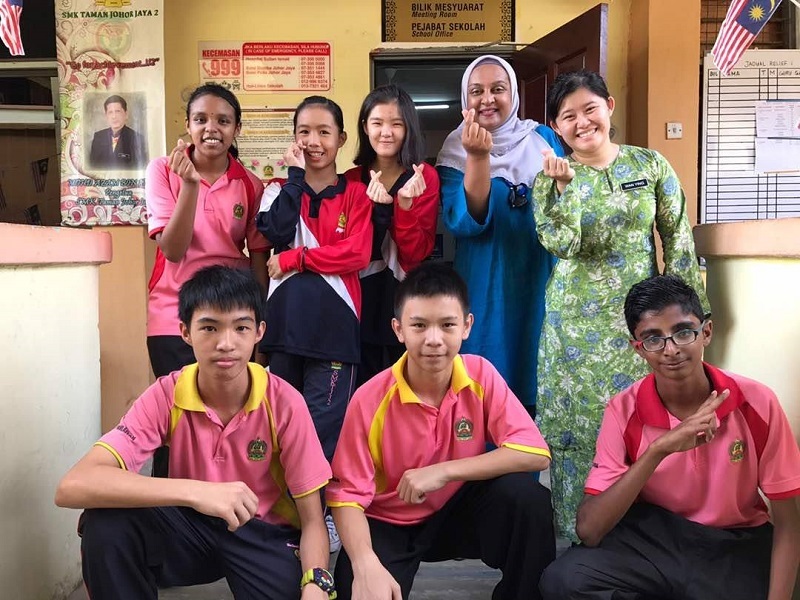 Besides the Trust School programme, Hasanah is present in about 10% of the 10,180 schools in Malaysia through other initiatives with partner NGOs. “We feel scale is a good indicator of reach and progress,” says Shahira. Its partners include Pintar Foundation, Teach For Malaysia and Yayasan Amir. Under the focus area of community, Hasanah works hand in hand with its NGO partners — regarded as the backbone of the organisation’s efforts — on a variety of issues faced by underserved communities, including employment, education, drug addiction, domestic abuse, mental health and gender-based sexual violence. “If we have been fighting poverty for so long, what can we do better?” Shahira prompts, suggesting the solution may be found in empowerment and creating resilient communities. Each of its long-term projects start at Year Zero, where time is taken to fully immerse itself in and understand the issues of the communities while building a relationship. Other important issues include child rights and protection. Together with OrphanCare, Hasanah has funded a pilot programme in Negeri Sembilan, which — with the guidance of Lumos, a family-based care advocate in the UK — aims to come up with a module that promotes the deinstitutionalisation of children. This article first appeared on May 14, 2018 in The Edge Malaysia.